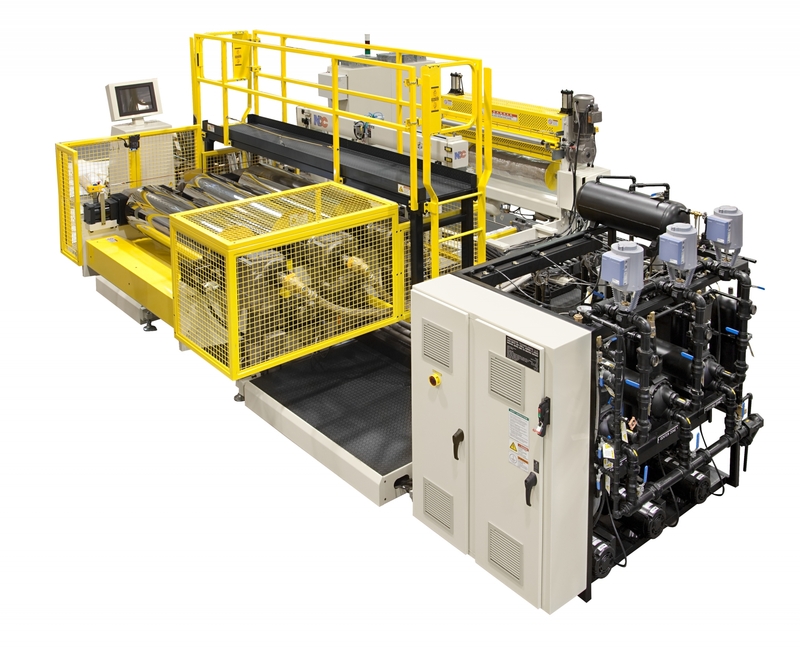 Compact G-Series® Horizontal Roll Stand designed for inline processing of thin gauge PP sheet. PTi has developed a specialty co-extruded sheet system designed for processing thin gauge PP sheet along with other resins. 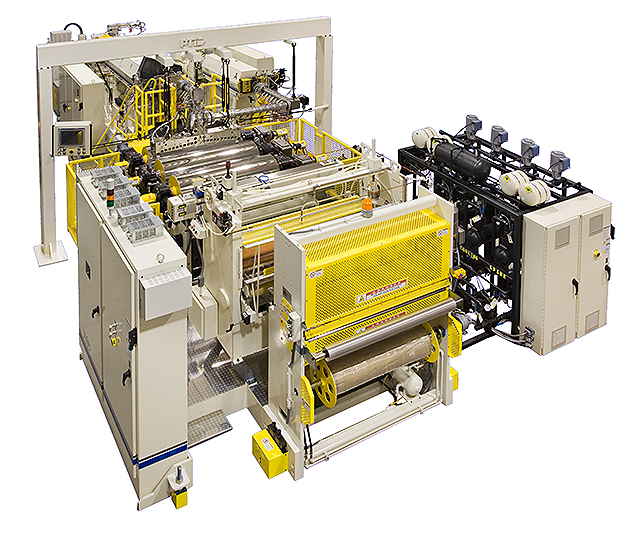 The horizontally arranged G-Series® roll stand permits ultra close sheet die approach for direct feeding the extrudate into the primary nip point location - paramount in thin gauge double polishing of PP sheet materials. This system offers vertical motorized height adjustment of the roll stand relative to the die position as well as back and forth traversing of the roll stand from the run position. 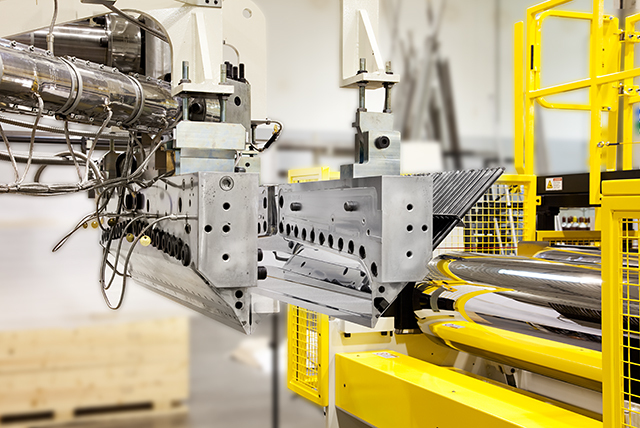 Special gantry-style die support provides efficient on-line die splitting cleaning capabilities. Roll stand features catwalks and full surround safety cages to minimize the risk of operator injury.